Continuity announcer Julian Simmons --- one of UTV's best known faces. THERE COULD BE a new Irish TV channel on the air in a little over 12 months time. UTV Media – which runs the popular Northern Ireland channel as well as a raft of Irish and UK radio stations – has announced plans launch a new Dublin-based service. An application to the Broadcasting Authority of Ireland for a Content Provision Contract was submitted today. The move follows the signing of an agreement giving UTV exclusive Irish broadcasting rights for ITV Studios programmes, including popular soaps Coronation Street and Emmerdale, from early 2015. Both programmes — along with other ITV shows like ‘Jeremy Kyle’ — are currently staples of the TV3 schedule. UTV Media has previously been linked with a possible takeover bid of TV3. The new channel will be based in Dublin. According to the company, it will also have “additional newsgathering and reporting presence in Cork, Galway, Waterford and Limerick”. UTV runs six radio stations in the Republic of Ireland: FM104 and Q102 in Dublin, Cork’s 96FM/C103, the Drogheda-based LMFM and Live 95FM in Limerick. Its UK stations include TalkSport, which is the country’s number one commercial speech broadcaster. According to Group CEO John McCann: “The audience in Ireland has known the UTV brand for more than 50 years through our station for Northern Ireland and we’re delighted to announce our plans for a new dedicated channel for viewers in the Republic of Ireland. “UTV Media already has a very strong presence in the Republic of Ireland employing more than 300 people in our various businesses including our market leading Irish radio stations. We look forward to building on that success with the launch of a new Irish TV channel. “After incurring start-up costs in 2014 we expect the new channel to breakeven in its first full year of operation and then move into profit from 2016. 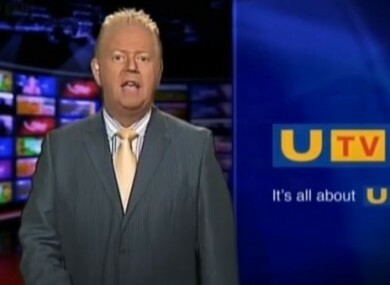 UTV Media says its planning to create 100 jobs as the new venture launches. Email “UTV plans to launch new Dublin-based TV station”. Feedback on “UTV plans to launch new Dublin-based TV station”.